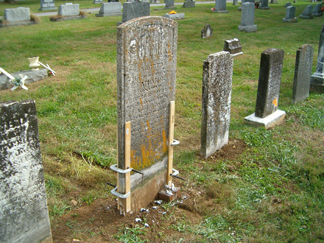 Specializes in cemetery conservation, preservation and restoration of monuments, cemetery gravestones, cemetery structures and funerary objects including stained glass and fence work and metal work. Provides comprehensive condition survey and assessment reports and treatment plans. Education is also provided. Cemetery conservation and preservation workshops regarding the ‘Dos and Don’ts’ and how to better maintain as well as how cut maintenance costs. All aspects of the cemetery is considered including the landscape. Work is guaranteed/warranted for seven years.